Your pool should match your landscape while fitting your personality and needs, and there are plenty of ways to make that happen through intricate layouts. The summer season is coming to an end soon, but that doesn’t have to stop you from upgrading your pool. In fact, now may be the perfect to time give your design a makeover. The design of a pool is an important aspect that can easily be overlooked. Any company can come and install a pool for you, but it’s the design that will set it apart from the rest. Your pool should match your landscape while fitting your personality and needs, and there are plenty of ways to make that happen through intricate layouts. 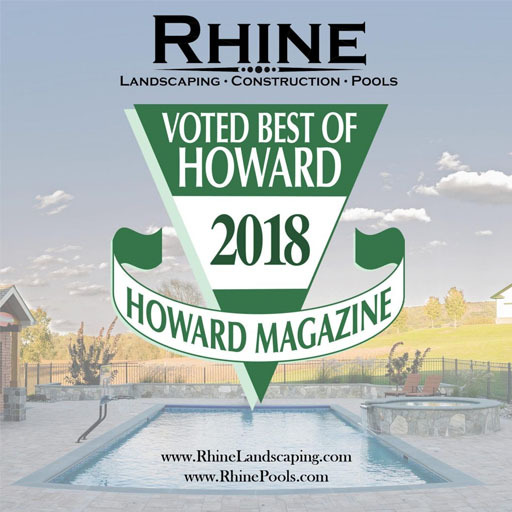 Rhine Pools offers a custom design option for your Ellicott City Pool. When you invest in a pool, you want it to be enjoyable and you want it to have future value. With a custom design, you can have it all. With a custom plan, you have the ability to make your vision a true reality in your backyard. We will sit down with you to discuss your ideas and fully understand what type of pool you want. After deciding on the shape, we’ll help you understand how your visualization fits into the current landscape. The indoor pool gives you plenty of benefits, with the most obvious being its year round capabilities. They also provide a better space for exercise than a regular pool would give you. The design of an indoor pool doesn’t have to be complex, but the surrounding structure can have unique qualities. Professionally, we strive to give you the best result. Your satisfaction is a top priority. We even have registered landscape architects that can figure out a plan to work around any property lines or septic issues that may occur. Installing a swimming pool gives you endless possibilities, whether it’s through exercise or entertainment.